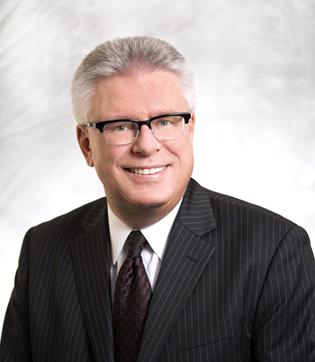 The interprovincial trade barriers issue – long a challenge between Ontario and Quebec – has spread westward, with Saskatchewan premier Brad Wall’s recent suggestion that his province may retaliate for Infrastructure Ontario’s (IO) “local knowledge” preference provisions. This shift, a perhaps unintended consequence of IO’s large-scale project bundling and the loss of local business opportunities to gigantic multinational corporations (mainly European), brings back memories of Ontario contractors complaining bitterly about their inability to access the highly-regulated Quebec market, while Quebec contractors and sub-trades routinely cross into Ontario, especially for work in eastern Ontario’s residential construction industry. There are conflicting reports about Ontario’s government reaction to Saskatchewan’s concerns, where 10 out of 100 points for IO projects are awarded based on “local knowledge”. “We haven’t ruled anything out; we haven’t ruled anything in,” he said. 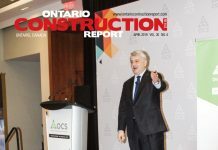 The local knowledge policies were introduced after Ontario-based industry associations complained about the unintended impact of bundling projects into larger and larger mega-projects, requiring consortia with (often) multi-billion dollar financing and bonding capacities – well beyond the level available for all but the largest contractors, architects and engineers. The provisions were designed to ensure that local resources would be included in the infrastructure initiatives, in place of sending virtually all of the money (and profits) offshore. 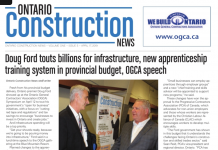 To spur recovery of the provincial economy Ontario has embarked on a $130 billion, 10-year commitment to infrastructure investment. Engaging local firms is a central element of this objective as it will help local economies create good jobs, the CEO news release said.